Description: Having the right tools for the job makes every gunsmithing project much easier. 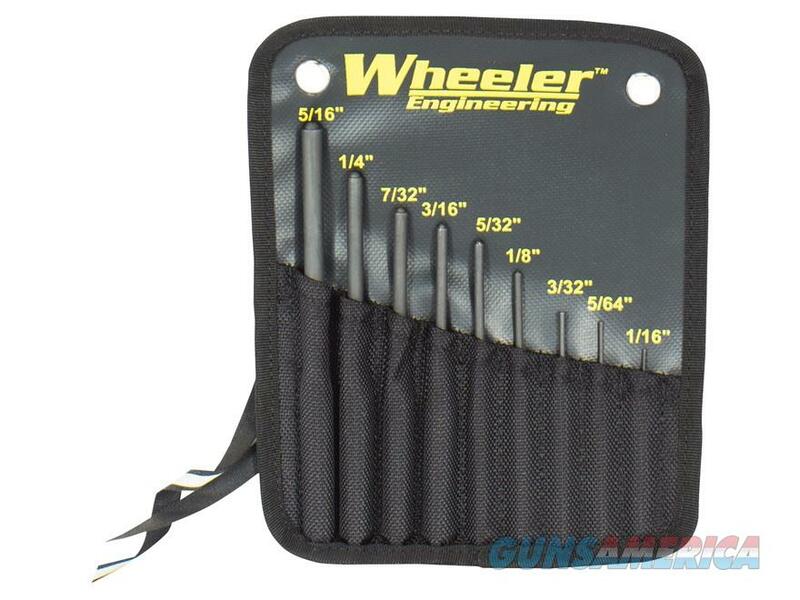 That is why Wheeler Engineering put together this 9-Piece Roll Pin Punch Set to give you the right set of tools for any situation you would need to remove those small roll pins. These punches are machined from hardened steel to prevent breaking when driving any size roll pin. The tip of each punch has a hemispherical design to give you proper alignment of the roll pin preventing damage to the pin and firearm. This handy set comes in a fitted nylon pouch to keep all your punches together.